The Optrix XD5 is one case that is worth strapping to your chest and doing some pretty extreme things with. Based on our time with the case, we give this case a score of 4 Eh’s out of 5. 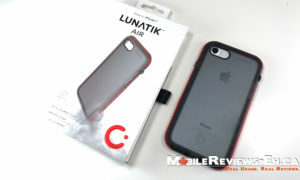 It will provide incredible protection for your iPhone but accessing your iPhone in the case might be a little tough. This is one of the toughest iPhone cases that we’ve come across as it’s waterproof and shockproof to depths/heights of 33ft. The main benefit of this case is to turn your iPhone 5 or 5S into an action sports camera. With the new slow-motion footage option on the iPhone 5S, the Optrix XD5 will allow you to capture footage similar to that of a GoPro. HitCase Pro iPhone 7 Review – The best one yet!